It’s the second in our “don’t be scared,” Halloween series and today we’re going to tackle keyword research. If you’ve ever seen Andy Crestodina speak, your head has likely exploded because of how he develops content. He often shows his GIGANTIC Google doc full of blog post ideas. Then he shows his process, which is admittedly more than any one of us do—myself included. But there is something to be said about the way he plans out his content. And it’s always on the first page of Google results, if not in the very first spot. This is an enviable position because it drives a ton of leads for his web development firm. And who doesn’t want their content to drive qualified leads? 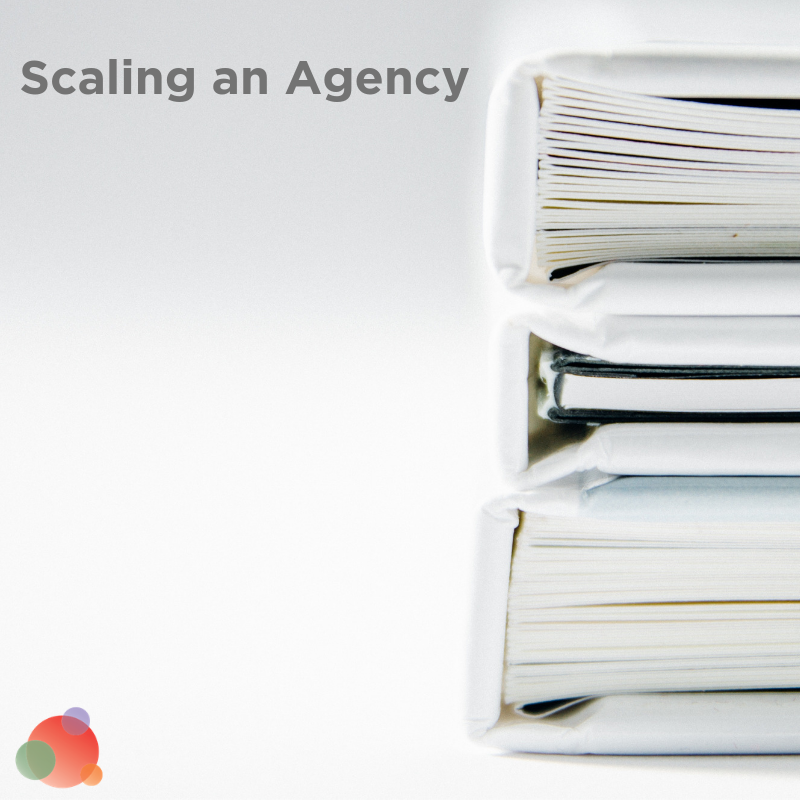 In the past few years, after spending time with Andy and other SEO experts, we’ve gotten much smarter and more strategic about our own content development. A lot of that has to do with keyword research. Those of you who have completed The Modern Blogging Masterclass or are in the middle of The Content Secret to Closing More Clients already know this like the back of your hand. 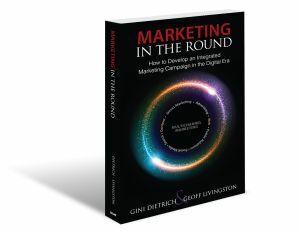 For those of you I have not yet had the honor of virtually sitting with week after week as you learn this process, you can read The Five-Step Process to Drive Content Marketing Results. 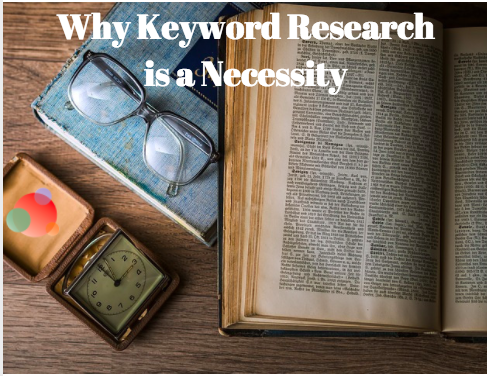 It will help you better understand why keyword research is a necessity. 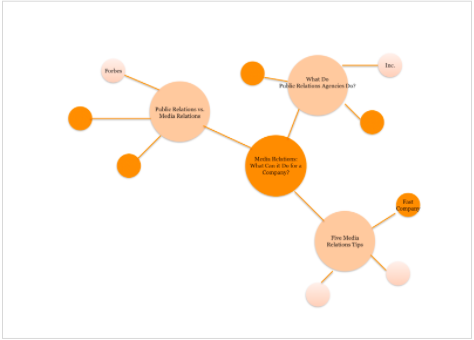 You can sketch your own content map on paper or use the presentation or mind mapping software of your choice. 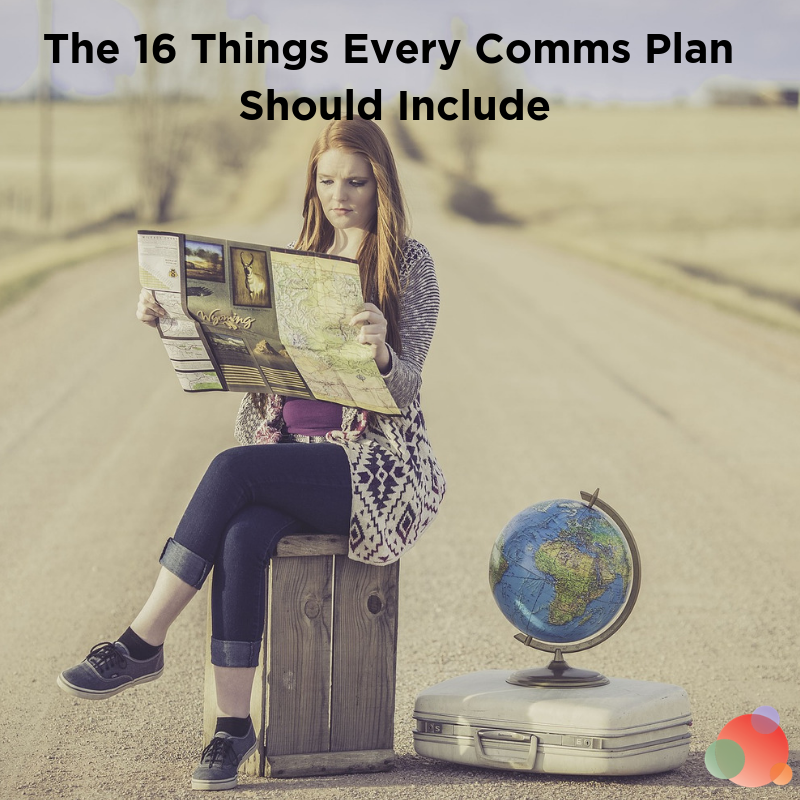 But the process is critical to make it look like you are everywhere at once when it comes to your organization’s key topic. 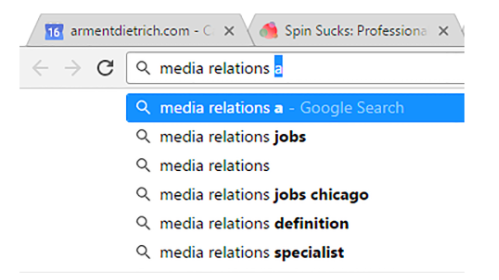 To be able to compete for this phrase—and because my keyword research shows “media relations” alone will not work, I’ve used a longer phrase. These go into the medium-sized circles. Then, the small circles surrounding each medium-sized circle are individual pieces of content you can produce on that one topic. 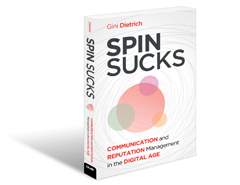 For instance, create a debate between someone in your office and an industry influencer. Paul Sutton and I like to do this once or twice a year. Or, talk about trends around the topic or interview an industry influencer. Heidi Cohen does this really well. These ideas go into the small circles. After doing this for your primary keyword, you have your main topic, three sub-topics, and nine pieces of content as your supportive base. When you are finished with that first map, you have 13 pieces of content. Thirteen pieces of content that you can create right now that are focused on your priority keywords and will help you get on the first page of Google results. Let’s say you blog twice a week. With this one little content map, you now have a content plan for five weeks. Focusing on on a topic in this way helps you extend your main topic and begin to showcase your expertise. 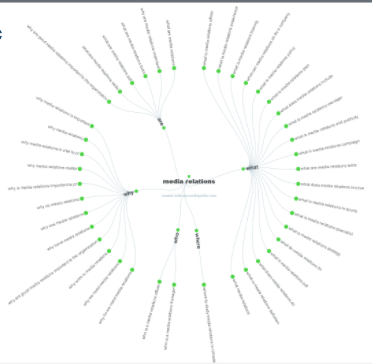 Now that we have our content map, we have to do keyword research. I know it’s tempting to just start producing, now that you have a plan, but you cannot. It is possible your content map is as perfect as it can be, but keyword research will confirm or deny your intuition. You have to figure out if you can realistically compete on those topics in search results. If, after doing keyword research, your ideas in the content map are perfect, you may go forth and prosper. If, however, there are some that need some tweaking, you’ll iterate. And that’s where keyword research comes in. Why Not Just Use Google Keyword Planner? For many years, I’ve been a big proponent of using the Google AdWords Keyword Planner for conducting keyword research. It’s still a useful tool—though its replacing the average searches for a topic with a really broad range has made it somewhat less so. Google likes to kill products. Even products a lot of people use. Google Reader is a prime example of this. It may soon be accessible only by active AdWords campaign owners. Though rumors have stated it’s inaccessible except to active AdWords campaign owners, it’s not been found to be true. These rumors, however, have led many to speculate that we may be nearing the end of our ability to be using this as a free keyword research tool. Luckily for all of us, there are a number of free tools we can use in our keyword research. Following are the highlights of how to make the best use of each site. And, to ensure we’re getting an apples-to-apples comparison, we’ll use “media relations” for all of them. Answer the Public is a really fun, visual representation of phrases people are searching for that relate to your keyword. As an aside, if you have a few minutes, go to the website and just…sit there on their homepage for a few minutes without hitting search. After you see what I’m talking about, you can do your search. Type in your keyword, select your preferred location, hit search, and you’ll get back a long page with a few visuals. The image below is the first visual you see on the page, which groups common search phrases by who, what, where, why, and are. These 40+ keyword phrases are all terms people are searching for, which makes them great for your content map. 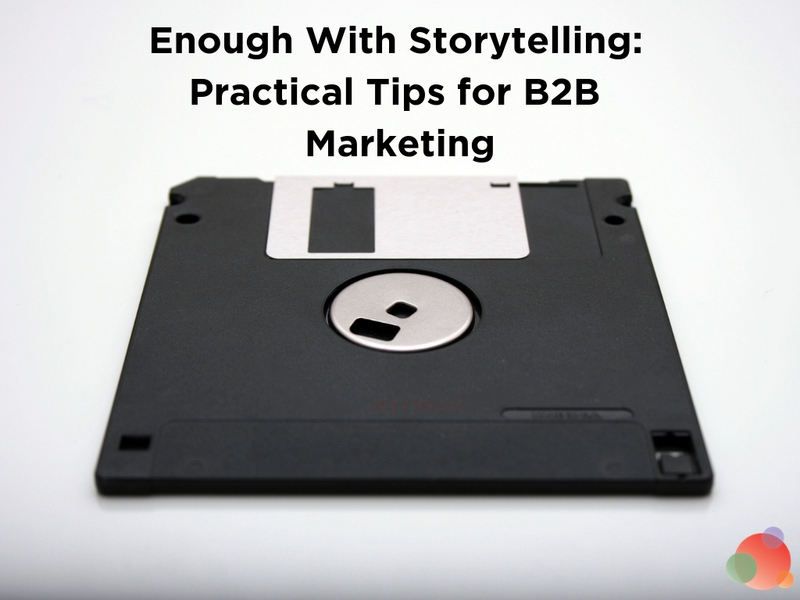 Note that you won’t want to necessarily use any of them verbatim for your content. In most cases you’ll want to use them as a base, and add in some power and emotion words, or target it even further to a specific audience. Answer the Public can help with that, as well. As you scroll down further, you’ll see it shows the keyword phrase with a number of prepositions, including for, versus, and to. This gives you another 30 ideas to narrow your focus and tailor content to your ideal audience. 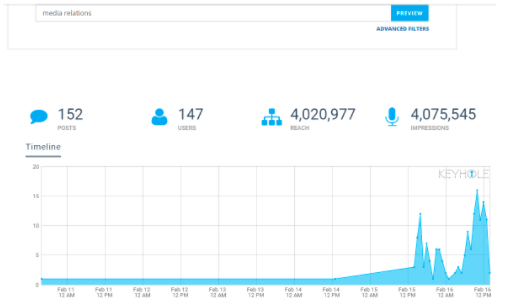 Keyhole is a good tool to use to plan social content, and identify related hashtags and other words used alongside your keyword. A look at the trending hashtags can also help you refine your keyword phrase to incorporate a trending issue. Further, it can help you identify influencers with high engagement who are frequent or recent users of your keyword. These are folks you will want to consider collaborating with on your content to increase its reach. It requires you to register for an account, but SEO Book is free to use. This tool provides monthly and daily search averages (in actual numbers, not broad ranges) plus cost-per-click, and breaks down data by U.S. and U.K.
No additional bells-and-whistles here, but it’s a good place to get a better idea of a keyword’s popularity. When you’re using a Google search, have you noticed how it tries to predict what you’re looking for, based on what it knows about you and your search history? This can also be a very helpful keyword research tool. If you have to type your entire keyword phrase into the search box, chances are it’s not a very common search phrase. Open your web browser and go into your settings. If you don’t want predictions from your search engine to appear in the address bar, you can turn them off by unchecking that box. Übersuggest was recently purchased by Neil Patel, who is promising more free features coming soon, so stay tuned for that. What sets it apart from the competition is it creates a visual word cloud of your keyword. Yes, you can still get a long scrolling list of keywords. 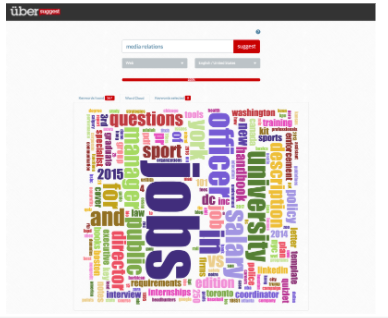 But the word cloud is an extremely effective way of presenting your keyword research results to others. The redheaded stepchild of search. 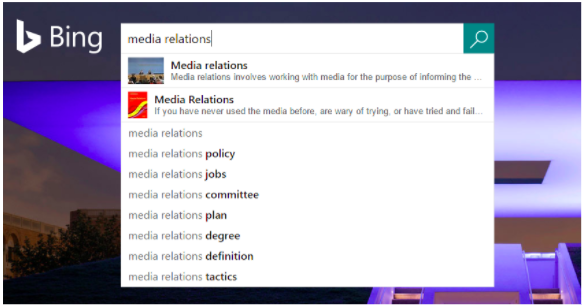 If you are a Mac and Chrome user, you may have forgotten about Bing. But in many corporate offices that rely on Microsoft desktops, Bing is the default search engine. Although it’s not as widely used as Google, it can still be very helpful for your keyword research. In fact, it’s autosuggest function may be a little bit more useful for you because prior search activity isn’t taken into account. This can be a helpful way to identify a handful of modifiers with which to extend your keyword phrase. 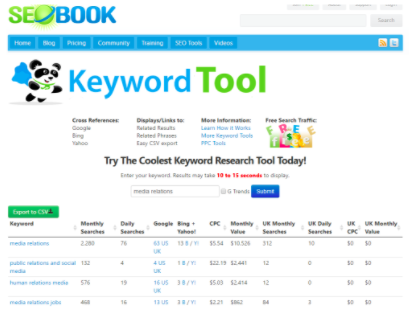 Last, but not least, is Keyword Tool. 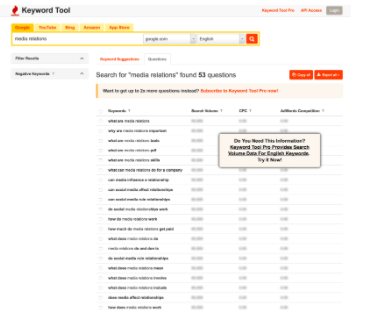 It is incredibly easy to use and I love how it gives you a list of questions related to your keyword phrase. These questions can very easily be turned into headlines for your individual pieces of content. You still start with a laundry list when you search for your keyword phrase. But it’s the easy access to the questions that makes this a must-use in my book. If you are looking to get more serious about your content planning, and may venture into paid advertising, consider paying for a premium tool while you conduct your keyword research. Let’s say you’ve done all this work and you still can’t compete. You’ll have to start back at square one with your main topic in the content map. 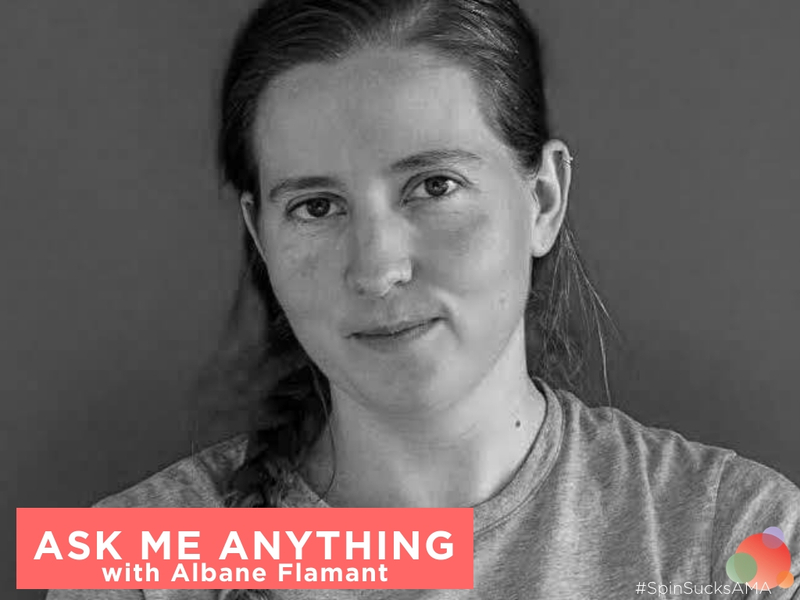 These tools can help you get an idea of the questions real people are asking, and the popularity of content that’s being created around your topic. Quora is a site that allows people to ask questions and get free crowd-sourced answers from a number of experts. Buzzsumo is a freemium tool that will let you search for a phrase and see what the most shared articles were on that topic. You can also research the most popular topic on a specific web site. This can be of great help in deciding how to narrow down your content topics. Reddit is an excellent place to see what your ideal customers are talking about right now. There are subreddits for just about any topic imaginable (and some you might never imagine). Can’t I just produce content and let the cards fall where they may? But wouldn’t you much rather get your hands a little dirty upfront and guarantee you’ll have results that generate cold, hard cash? The good news is, once you get into the groove of doing this, it becomes second nature. Most of our students can do all of this work in about 10 minutes. If you want to do the work, but are overwhelmed by it all (and it is overwhelming), the PR Dream Team can help! You’ll be creating content maps and doing keyword research like nobody’s business. And now it’s your turn…what questions do you have? Do you have other keyword research tools you like?